Banting Diet Plan With Food List and Banting Recipes. 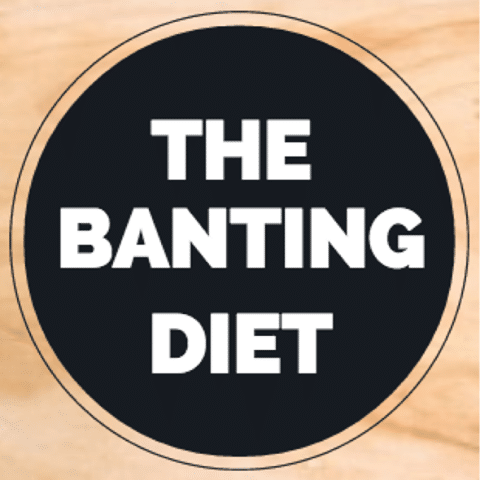 So, have you heard of the ‘Banting Diet’ before? If not, you might be surprised to know that this particular diet plan consists of food items that are Low in Carbohydrates and High in Fat! Yes, High in Fat! The Banting Diet is more commonly known as Low Carb High Fat (LCHF) Diet too. In typical diet plans, the very mention of the word ‘Fat’ is considered a taboo, whereas if you follow Banting Diet Plan, you will constantly intake high fat foods. 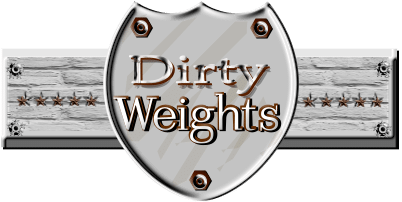 Although it sounds very different, almost opposing, to other popular diet plans that we encounter every day, it is widely accepted among circles of people who are conscious about their physique and fitness. And that is so because there is considerable evidence that such a diet works wonders and is more effective than the traditional, low fat diet plans. Now, you might be wondering of the theory behind this diet plan! What is Banting? Where does ‘Banting’ come from? The word ‘Banting’ became famous because of an undertaker, a royal undertaker who had proudly taken over the job of his forefathers. Like many of his fellow Londoners, Banting was a fat man for reasons that he shared with other obese people; the intake of loads of sweet and sugary foods. After retiring from his prestigious job in 1862, he was very depressed because of his increasing obesity and grave health conditions that included hearing and site problems. He could not get up the stairs on his own and was suffering from a ton of health issues. He himself is reported to have written in his diary that fat is man’s “insidious creeping enemy”. At the time, the awareness about obesity being linked with new harmful diseases was also rising. Therefore, determined Banting left no stone unturned to lose weight and get rid of his obese body. After unlimited efforts and practices such as walking, riding on a horseback, avoiding fatty foods, he got in contact with a doctor, William Harvey, who suggested a novel plan for Banting. Although Banting showed much resistance to his diet plan that included foods rich in fats, the doctor kept on insisting him to eat butter, milk, potatoes, bread and etc. Banting followed his doctor’s diet for all three meals in a day very regularly and so, bore amazing results. The outcome of Banting Diet was just unbelievable. Banting discovered the remedy for his illnesses and lost 46Ib! Now, he could go up the stairs on his own. His defected hearing and sight improved a lot. Hence, he found a solution to his Big Fat Problem. Later, he published a brief pamphlet telling his story, which spread throughout Europe and so, by 1866 much of Europe was caught by Banting-mania! Banting remained the standard treatment for almost a century after it was discovered, until 1959 when it went out of fashion all of a sudden. After that, it was no more published in medical or nutritional textbooks and was ironically replaced by its polar opposite, the now in fashion, ‘heart healthy’ diet, with low fat and high carbohydrate content. A set of guidelines were published by the US government in 1977. According to these guidelines, it was decreed that everyone ought to have six to eleven portions of grains daily and that it was perfectly fine to add sugar to anything. This new diet plan spread throughout the world very rapidly and so, a variety of low fat and high carb food items hit the shelves of markets. This new scheme brought with itself catastrophic effects. Later in 1980’s, the incidence of both obesity and diabetes rose rapidly. It could not have been a coincidence! Such rocketing statistics were a direct result of the high sugar food products that were being used by the general population. Did Banting find anything new? No. In fact, he only found out what humans were meant to eat and what they used to eat centuries ago. Esteemed biologists, geneticists, paleoanthropologists and theorists believe in the theory that human genes have barely changed since the time human beings started off their journey on this planet. It is believed that if the whole human history were to be put into one day, humans have been eating grains for only five minutes and sugars for five seconds. This is, without doubt, a very brief amount of time in our existence. Therefore, it can be argued that the human anatomy has been designed to have a proper intake of fats in the form of meats, seafood, dairy products and nuts. Around 2000,000 years earlier, man did not have access to starch-rich foods such as processed flours and breads, potatoes, pastas and etc. These sorts of foods have only become available to people from around five to ten thousand years ago. This is a very small amount of time for the human body to adapt to novel foods and eating habits. With the arrival of the industrial age, it got even easier to manufacture such highly-processed foods, rich in sugar and starch such as white flours, on a large scale. These products have fast absorbed pure carbohydrates thus, making them unsuitable for human consumption because mankind has not had enough time to adapt to high sugar diets. The common false impression is that including fat in your diet is harmful for your health. Fat is thought to be the main reason behind high blood pressure ratios, cardiac diseases and obesity. This claim does not hold any authenticity because it was hinged on a faulty study by Ancel Keys in 1953. The truth is quite the opposite; a diet rich in carbs and sugar are the major cause of obesity, diabetes and other chronic illnesses. Although we are told the exact opposite, vegetable (seed) oils and their derivatives (margarine) are also a causative factor to heart diseases. Of all the three macronutrients in our diet, only carbohydrates are not necessary for human life and body development. And this is so because our body can convert proteins and fats into glucose easily. As a matter of fact, we cannot function properly for more than a few days without having fat; without an ample protein intake we suffer from protein-calorie malnutrition in a matter of few months. On the other hand, avoiding carbohydrate has no short- or long-term effects on humans, other than the (most preferred) effect of weight loss, especially in those who are quite obese. While we do need a steady supply of glucose, it can be met with the conversion of fat and protein into glucose by the liver. Therefore, we do not need to ingest carbohydrates in our regular diet. “What about my cholesterol?” This would be many people’s first concern as soon as they learn about the Banting Diet Plan. There have been researches conducted out that prove the fact that cholesterol is not the cause of heart disease. It will only adhere to a ‘leaking’ artery wall which has already been damaged by inflammation in order to protect you. Due to excessive intake of carbs and sugar, those arteries stay inflamed. Sugar is one of the most inflammatory things you can include in your diet. It will keep on robbing you of perfect health. Grains are converted into sugar by the body’s own mechanisms. Therefore, a diet rich in sugar will promote inflammation. There are high chances of inflammation in both arteries as well as all other principal organs of the body including, the brain and the liver that can ultimately lead to ‘incurable’ chronic illnesses. Many people have reported relief from all the above in a short period of time after following the Banting lifestyle. Banting provides some solid outcomes in the form of achieved goals. The same cannot be said for many other popular diet plans that many people are following blindly. There are numerous proofs and testimonials that prove the efficiency of Banting Diet Plan. After following an LCHF diet, athletes claim to have greater endurance levels. Additional carbohydrate supplements such as gels and pills are not really necessary. Athletes sometimes face the problems of fatigue and very low blood sugar levels due to rapid energy burnouts in physical activities. Banting Diet Plans have shown significant improvements in treating this issue. Banting Diet aids in controlling blood pressure. Such a diet plan helps Diabetes Type II patients by regulating blood insulin levels. It helps actualize every athlete’s dream of losing weight. Moreover, at the same time, there is no reduction in power, stamina or energy levels. There are almost no additional weight gains because of low carbohydrate intake. Banting results in lesser hunger cravings because fats fill the stomach faster. They also stay for a longer time than carbohydrates do. Static insulin levels aid in burning more fats and maintaining an even blood pressure. If there is higher fat content, there will be longer breaks between meals! There is only loss of fat. No loss of health or nourishment. At start, losing a few kilos is perfectly fine. It has been found later; Banters usually reach a exasperating weight plateau, where they stop shedding any more weight. The solution is not to get disheartened, but rather use this as an opportunity to listen to your body. Weight loss differs from person to person. Analyzing your diet closely may give you insights about what you have previously missed. There might be a food with hidden carbs that you are eating regularly or you might discover new allergies to something that you did not know before. You have to experiment with yourself- take out the time to get real with yourself and with your eating habits. Following is a list of the 10 principles that you should pay proper attention to if you are willing to lose weight. Eat enough animal fat. This is very vital for Banting. Animal fat doesn’t make you obese, and you have got to eat it. Small amounts of fat fill your stomach and stop you from overeating. Try to remember that animal fat does not make you fat, so don’t stop yourself from eating that beautiful fat! Have a substantial intake of vegetables. Your bulk-food must be vegetables. In other words, you need to have vegetables in every meal because of their high fiber content. Green vegetables are the best because they are full of nutrients, but have low sugar content. There is a variety of different vegetables available to most of us. Make sure that you have added a variety of them in your diet. Don’t snack! For the first week or so of Banting, you may have the temptation to have a snack from time to time. Try to make sure to have Banting-friendly snacks at hand; you can easily find them in both literature and on online resources. Note that it is really essential to have a good breakfast to start off your day with. If you are still having hunger pangs, raise the amount of animal fat in your diet. Don’t lie to yourself. Having carbohydrates that seem like proteins such as legumes and peanuts would destabilize your Banting efforts. There are comprehensive Red and Orange lists of food items that you can find online. Focus on the Red list – the prohibited foods. Simply put, a red-listed item is either poisonous or will cause weight gain. Foods from the Orange list must be eaten in moderation, while carefully managing their carb content. Counting carbs might get a little time consuming so, things have been made easy for you. Now you can find tools specifically for this task on the Internet. These meal trackers and carb counters will help you Bant with ease. Don’t over- or under-eat. In the start, people might overeat during mealtimes because they are not sure of how much to eat. Nothing to worry about this! If there is enough fat in your diet plan, you will soon get effortlessly to moderately-sized meals which will help you through to the next meal. Never try to eat forcefully. As soon as you get full, stop eating! If you don’t want to have a meal, it’s up to you. Don’t eat too much protein. It needs to be stressed enough- Banting is not a high-protein diet.You should not eat more than 80g or 90g of meat or fish in one meal. Keep in mind that the main driving force of Banting is to limit the carbs from your diet and augment your fat intake. Protein consumption shall remain unaffected or can be reduced, as you like. Be alert! Many allegedly ‘healthy’ products and ready-made meals are rich in carbs. Before you buy something, check the label. Five grams of carbs is the limit. If the carb content is higher, don’t get it. Also, try avoid any product that claims to be ‘low-fat’ because it is highly probable that it will be loaded with carbs to reimburse for the inevitable loss of flavor. You will realize why it has been very difficult to lose weight in the past once you start looking at the product labels. You need to learn to decipher food labels and find the Best for yourself. Avoid eating too many fruits and nuts. Fruit is full of natural fructose (the sugar that makes it sweet). Fructose is seen to be ‘good sugar’ but for a Banter there is no such thing. Sugar is sugar! And so, its consumption needs to be strictly controlled. Among all fruits, berries are the best but even their intake needs to be checked. The nuts on the Green list (the list of Permissible Food Items) are low in carbs and are great snack foods, but one must not overeat. It is always better to choose raw nuts rather than the commercial roasted nuts. Control your dairy. Dairy is good but it also contains carbs and can be a faltering barrier for some people. After starting Banting, you should avoid large intakes of dairy and dairy products. Simply said, minimize eating cheese as much as you can. Use whole milk. Try to have double cream yoghurt rather than having low fat choices. Have your coffee with cream. Butter is always considered to be good, so have a substantial butter intake. Be strong! You have got to be as firm as a rock to see the outcomes. The duration, until you start seeing changes in your body, may vary from one person to the other. Therefore, the key is to not lose hope and continue following the routine in order to achieve the final goal. Just don’t give up! Green List– this list consists of things that you can eat without worrying at all. It is an all-you-can-eat-list and therefore, has everything with a carbohydrate content of between 0 to 5g/ 100g. Orange List– This list enlists items that are to be taken moderately. Orange is made up of ingredients containing between 6g and 25g of carbs per 100g (6% – 25%). Red List– Red will contain all the foods to avoid as they will be either toxic (e.g. seed oils) or have high carbohydrates (e.g. potatoes). It is strongly recommended to avoid these items because of the reasons mentioned above. If you are thinking of going on Banting, then this weekly diet plan is meant for you. It acts as a guide for someone new who wants to try this diet plan, with an introduction of low-carb and high fat food items. One interesting thing about this diet plan is that apart from being Banting friendly, it is also gluten free which makes it even healthier for you! Besides maximizing health benefits, this diet plan will you become slim and feel young. Note: This diet plan excludes the intake of all dairy products since it is advised to reduce dairy consumption if you are facing problems in losing weight. Breakfast: Take 2 poached eggs with a few rashers of tomato and bacon. Lunch: You shall eat a large salad with any of your favorite protein (chicken, steak, etc), with a little cottage cheese. Snacks: You can eat apple. In addition, you can use almond butter. Dinner: Pork, cooked in a slow cooker, with vegetables such as pumpkin and spinach are the best for you. Pumpkin and spinach are less sugary than butternut. If you are still hungry, you can have Greek yoghurt! Lunch: Sautéed vegetables, pre-made and re-heated, can do the job. Snack: Have a can of tuna (rich in proteins). Dinner: You shall have steak with green leafy vegetables, cauliflower and broccoli. Breakfast: If you like, you can have eggs and bacon again, otherwise, for a change, you can make coconut milk smoothie or have banana pancakes in the morning. Lunch: For lunch, you ought to have soup. It should be re-heated. Snack: Take some Greek yoghurt. Dinner: You can make Roast Chicken (BBQ free range chicken) which you can complement with a Greek salad. Breakfast: Have some mixed nuts and berries with some coconut milk, followed by some Greek yoghurt. Lunch: You should have BLT wrap with lettuce instead of normal bread wrap. Snack: Take a couple of hard-boiled eggs. Dinner: Grill some fish and you can have it with spinach and pumpkin for your dinner. Breakfast: Like usual, you can have eggs with a piece of steak. Lunch: Cold cut meats and vegetables is what you need for the lunch. They should be snack-like but filing. Snack: Take avocado. It is high in good fat that will refuel your energy reserves for the rest of the day. Dinner: You ought to grill chicken breasts (free range chicken) and have it with some fresh vegetables. Breakfast: Take a few eggs and sweet potato hash browns. Lunch: Try to have a sandwich with bell pepper slices instead of bread slices. Dinner: For dinner, you can have a meatloaf enfolded in bacon. Breakfast: You can have scrambled eggs with meat or vegetables. Lunch: For lunch, you shall eat dinner leftovers! Snack: Try to have some blueberries and almonds. Dinner: Have beef or chicken, stir fried in olive oil. Do not use Sunflower oil or any vegetable oil. Not in the mood to have Meals? Try low-carb snacks. If that is the case, you can find these food items in your fridge and treat yourself with both yummy and healthy foods. Water: If you are following the Banting diet plan, you ought to have a large intake of Water, apart from being essential for living, is good because it fills the stomach and thus, you feel less hungry and therefore, can fasten the process of losing your weight. Tea: Tea is a very beneficial drink if taken in appropriate amount with the right content of caffeine. Make sure to have tea at least once in a day. Coffee: Similar to tea, coffee is also a revitalizing drink that can give a boost to your energy level, therefore, it must be taken once a day. While this meal plan gives you the opportunity to start over a low-carb Banting diet with an ease, it is also really easy to get fed up with the same routine of preparing and having the same meals over and over again. Such a situation creates boredom and makes you a victim of a phenomenon known as “diet fatigue” that usually makes people revert to their old unhealthy eating habits. We all know that burgers with crispy chips are more tempting than chicken and vegetables! The most effective way to help you keep away from slipping back into convenience eating habits is to have an extensive diet plan that has been complemented with plenty of tempting LCHF Banting meals and recipes. In this way, you would make it easier for yourself to keep on going for at least a month or two while keeping your diet plan appealing & exciting. Here are a few Banting Recipes that you can try at home. They are not only healthy, but will also help you keep your diet plan exciting for you so that you do not get bored of eating the same stuff again and again. First of all, preheat the oven to 220°C. Take a baking tray and line it with some baking paper. Remove the stems from all eight mushrooms. Slice or cut the blue cheese into bite-size pieces. Place a little on each mushroom. Spread the chives on top and evenly season with a pinch of salt and pepper. Enfold each stuffed mushroom in a piece of bacon and put it on the baking tray. Sprinkle a bit of olive oil and roast for 15 minutes. To make a slider, take two mushrooms and put a basil leaf and the poached egg in between. You can have it in breakfast with LCHF bread. Or you can make it for lunch or dinner by adding a salad and cauliflower rice. NOTE: The bacon can be replaced with some Parma ham or Spanish ham. Because they are cut into thinner slices, they will cook much quicker. Therefore, keep an eye on them while they are being cooked. Always use fresh eggs and add a splatter of vinegar to your cooking water while makimg poached eggs. Try to ensure that it comes up to a gentle simmer. Crack the egg into a cup or a bowl and smoothly slide it into the water. Cook about 3 eggs at one time, as you shall not overcrowd the pot. Cook for 2 to 3 minutes for soft poached eggs, 4 to 5 minutes for medium poached eggs and 6 to 7 minutes for a hard poached egg. Set the temperature to 180°C and preheat your oven. Take a baking tray and line it with a piece of foil. Place the ribs, garlic, fresh thyme, lemon juice and stock. Season it really well. Cover with a second sheet of foil. Seal the edges of the foils together by crimping it to form a parcel. Take out the baking tray from the oven and later, get rid of the covering foil. Increase the oven temperature to 220°C. Return tray to the oven and roast the ribs until they turn crispy and golden. For the herb sauce: Put the herbs and spring onions in a bowl. Stir them in the lemon juice and then whisk in the olive oil. Season well. To serve: Serve ribs hot, garnished with herb sauce and complemented with lemon. Take a pan and heat it over medium heat for the mince. Add oil, mince (that you’ve prepared) and garlic in the pan. After frying for 5 minutes, you should add chili, coriander, cumin, paprika and salt. Fry for a further 5 minutes. Mix in the tomato purée and cook for around 5 more minutes. Later, put in the coriander leaves and spring onions. In order to prepare the salsa, stir everything together and season it to taste. For making tacos, first of all, preheat the oven to 180°C. Take a baking tray and line it with a non-stick baking mat or baking paper. Oil it with a little cooking spray. Grease two or three wooden spoons (preferably long-handles spoons). Balance them on top of mugs. Then, put the cooked cheese on the handles so that they can form the taco shapes. You will prepare the tacos in two batches. Put the first batch onto the baking tray. Leave a little space in between each piece. Cook them until they all get golden-colored. It will almost take 10 minutes. Quickly lift and fold the cheese over the greased wooden spoon handles using a palette knife. The cheese will harden and form a taco shell. Allow them to cool down. Repeat the same procedure with the remaining cheese. To assemble, put a layer of the mixture of lettuce, salsa, mince and a little sour cream in every taco. Dress up with micro herbs, if you like to. NOTE: Provolone cheese is an Italian cheese that is available at many superstores or most Italian delis. Instead of Provolone cheese, use normal cheddar cheese for the tacos. It can be a little tricky if you are making these tacos for the first few times because they get hard really quickly after baking. Therefore, it is better to bake off 1 or 2 tacos at a time if you think you are not being able to work fast enough once they come out of the oven. You can easily surf the Internet or go through books to find out many new and innovative Banting friendly recipes. Do look for them and try them as much as possible in order to increase your eating options. In today’s era, when life is very busy, work and work-related chores have surrounded us to such an extent that we do not have time for ourselves. We do not find enough time to do the exercises that our bodies need in order to stay fit and healthy. Therefore, we need a simple-to-follow diet plan to maintain a healthy body and get rid of obesity. Considering these time management issues, Banting Diet Plan can be a perfect way to improve your dietary habits. It is equally beneficial for athletes looking for improvements in their performances, diabetes patients aiming for natural control measures and any regular person who wishes to shed off some extra weight. At first it may pose problems for you since you may not be acquainted with a few of the food products or it may take a little extra time to set up your plan for the next few weeks. But you need to stay strong and be well-planned. Without doubt, you will have to invest some time before adopting this new diet plan for yourself. Follow the banting diet food lists and stay motivated. You have to go little by little and you would definitely get to the top and achieve your goals! Banting diet is another low carb style diet. What is banting? We review this diet with the banting diet food list and banting recipes. I disagree… Animals have the intelligence to “NOT WANT TO “COMPARE or liken THEMSELVES to us HUMANS. I guess that’s why they, the animals are far superior to any of us … We in fact learnt from them, not vice versa ?? Nig Sed ?